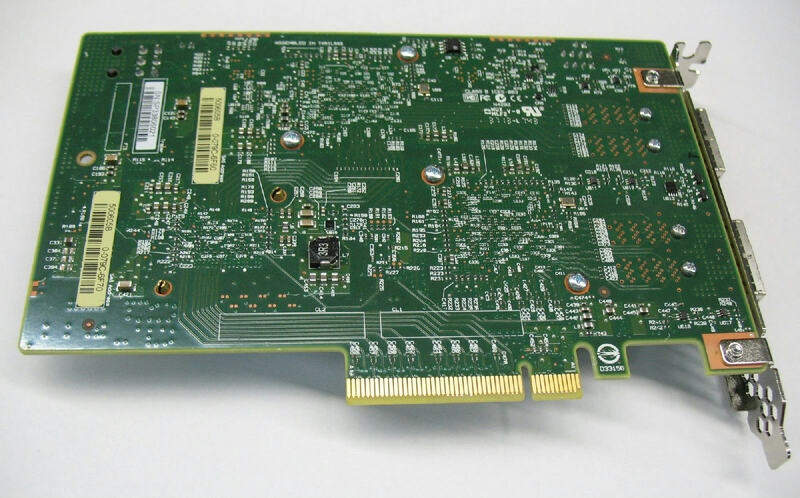 The LSI® PCI Express® (PCIe®)-to-Serial Attached SCSI (SAS) host bus adapter (HBA), referred to as the LSI 12Gb/s SAS HBA, provides high-performance external storage connectivity for servers and workstations. The LSI 12Gb/s SAS HBA provides sixteen lanes of 12Gb/s SAS connectivity and is matched with eight lanes of PCIe 3.0 8Gb/s performance. The LSI 12Gb/s SAS HBA is based on the Fusion-MPT™-architected LSI SAS 3008 controller that integrates the latest enhancements in PCIe 3.0 technology and 12Gb/s SAS technology. The LSI 12Gb/s SAS HBA has onboard Flash memory for the firmware. The LSI SAS 3008 controller chip contains the SATA+SAS functionality for the LSI 12Gb/s SAS HBA. The LSI 12Gb/s SAS HBA is a 6.6-in. × 4.4-in board. The component height on the top and bottom of the LSI 12Gb/s SAS HBA is in accordance with the PCIe specification. The LSI SAS 9300-16e HBA uses two LSI SAS 3008 controller chips and one PCI Express switch to provide high-bandwidth interconnection ability. PCIe is a high-speed standard local bus for point-to-point interfacing of I/O components to the processor and the memory subsystems in high-end computers and servers. 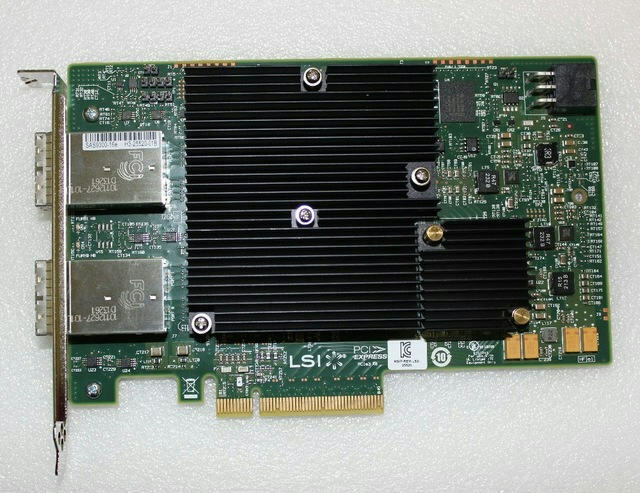 The LSI 12Gb/s SAS HBA supports eight-lane PCIe performance up to 64Gb/s single direction and 128Gb/s dual direction.